Well for all of the Cow Girls in California, I just found a great place to take a little vacation in the desert. Don't Laugh! Yes a Dude Ranch.. but how often do you get a chance to enjoy the Sonoran Desert by horse back. The Flying E Ranch is a great place to visit and is just on the outskirts of a little town call Wickenburg. 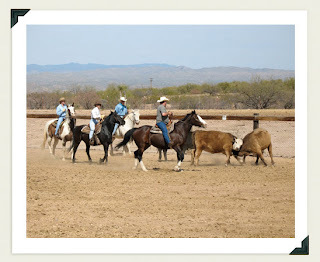 The ranch is about 45 min drive from Phoenix and is family friendly so bring your little ranglers. Christmas in Maxwell is not what one might expect to find in the Colusa County. The shop is an oasis for the selective shopper visiting the area. – It is, without a doubt a welcome surprise nestled in this small farming community of Maxwell.Shop to your heart’s content! Browse the main shop for clothes and gourmet cooking needs then stroll out to the Christmas Barn for the time of your life. You will be amazed at the quality and quantity of Holiday Day Decorations in this space.Trimming your home is easy with many different themes and color decorations for your home. Giddy up to the western tree or toss that fishing pole out to catch a bit of the Modern Montana fisherman’s dream. In the next room enjoy the Black & White Ball theme and on to the real meaning of Santa Clause. Select one of several of the beautiful Santa’s for gifts or treasure for your home.